The author of My Desert Odyssey continues her journey. A lone mother in London, she confronts the hypocritical professionals who threaten removal of her baby. She travels, with her son and without, from familiar Algeria and Tunisia, then Jordan, Morocco to Mauritania, to be in her element. The recent world affairs and her fascination with drift ice along the Okhotsk open some long closed doors to her troubled old days in Japan. Six years after the death of her grandmother, she opens her grandparents' cupboard. Sixty years after the other grandfather's untimely demise, she sails the Pacific and finally allows him to jump overboard. Another intimate portrait: the narrator's love for her son, passion for the disappearing desert, and constant moves. 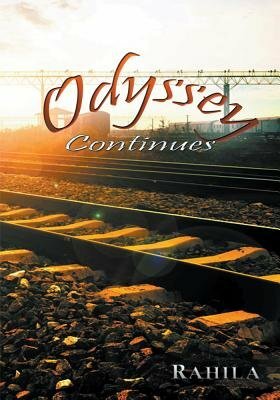 Odyssey Continues is a Travel Memoir by seasoned author, Rahila.